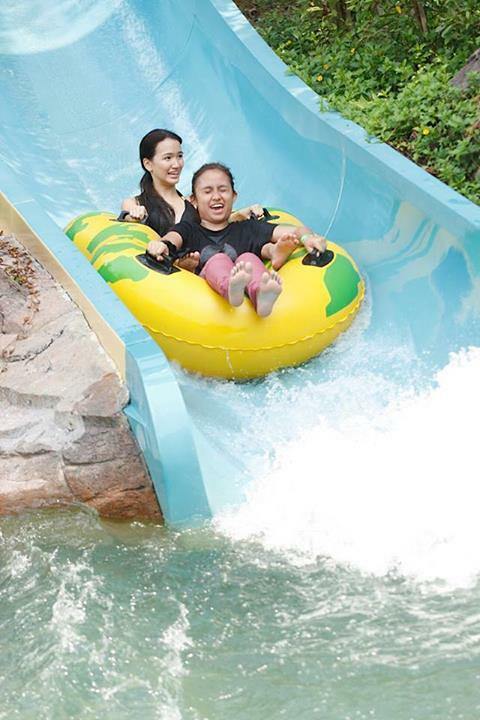 It was a beautiful and sunny Saturday morning on 6 July 2013 and Malaysia”s Hottest Bloggers made their way over to Sunway Lagoon for the Celcom 4G LTE Blogger Race. First order of business – breakfast! The Black Team – MHB’s Steph and Abigal with Syada, Syahir, and Ezzrin. The teams were briefed on the objectives and rules of the race then were given a set of clues. 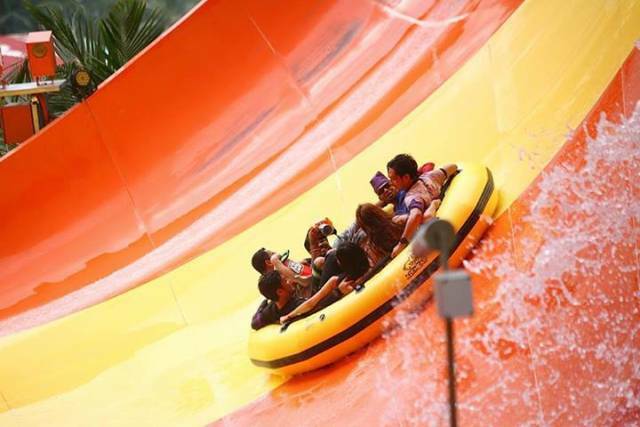 From the clues, teams were supposed to figure out the 7 rides/ activities in Sunway Lagoon to complete and get the pass from the hidden marshal in order to accumulate points. Kayak station – teams needed to complete a figure 8 around two floating buoys within 3 minutes. As many of the girls have never been kayaking before this turned out to be quite a hilarious challenge with kayaks wandering off course or around in circles. ATV Jungle Course – teams needed to count the number of coloured flags and report to the marshal. Correct numbers got them the pass. We soon discovered who were the “ganas” drivers among the participants! The Dunk Machine saw teams trying to hit the target to dunk their team member. Most teams did not succeed and had to perform penalties like a “duck walk” and sing a song to the amusement of the patrons around this challenge. There was a long Q at the Water Obstacle ride and team members had to use their charm to persuade other patrons to let them go first. Teams had to spot the letters on the way down the water slide and relay them to the marshal. 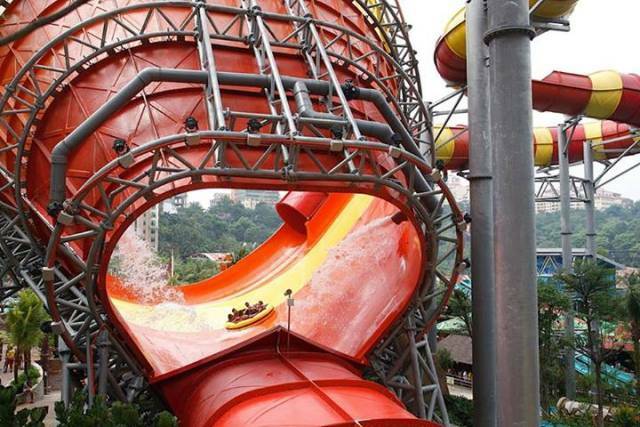 The Vuvuzela which is the latest attraction at Sunway Lagoon terrified even the video crew following the teams while some team members were even seen regurgitating their breakfast! 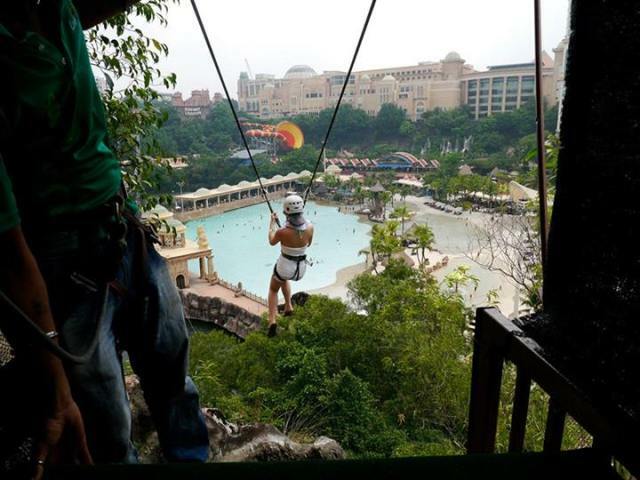 The Flying Fox ride was a hit among the daredevils among the participants with most enjoying the exhilarating ride and view of Sunway Lagoon while traversing one end of the Surf Pool to the other from 10 storeys up! There was also the Waterplexx 5D ride which got every team who braved the challenge soaking wet thanks to it’s water effects. Unfortunately no photos of the ride as none of our cameras were waterproof. In retrospec it would have been quite a good opportunity to test our the Sony Xperia Tablet Z’s water-resistance! After an hour and a half of running around Sunway Lagoon, finally time was up and the teams arrived back at the starting point. 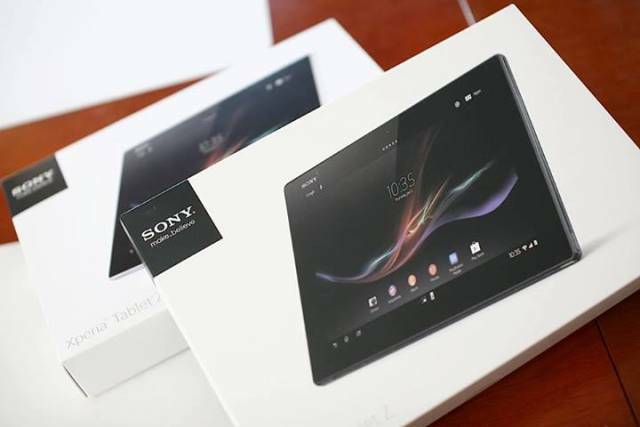 The top three teams then proceeded to the bonus round whereby each of the teams had a chance to go home with the grand prize of a Sony Xperia Tablet Z for each of the team members. Each team was given a clue to look for the tablet which was underwater and around a specific person inside the Surf Pool. After much splashing about in the Surf Pool the White Team eventually found the tablet, ran all the way to the finishing point where they effectively ended the hunt as they were declared the winners! Look at those happy faces! Congratulations to the White Team for winning the Celcom 4G LTE Blogger Race! The White Team all smiles after receiving their tablets from Celcom First. • Android 4.1 (Jelly Bean), 1.5GHz Quad Core Processor–Gives you super fast performance on the fastest network. • 10.1” HD Reality Display–Large enough screen for you to enjoy all your favourite movies and drama series in wide view. • NFC Enabled – Sony is going really big with NFC technology built-in to many of their devices from smartphones to VIAO ultrabook, TVs, wireless speakers and of course the Sony Xperia Tablet Z. This enables you to share pictures, documents and more in a really fast and convenient manner. 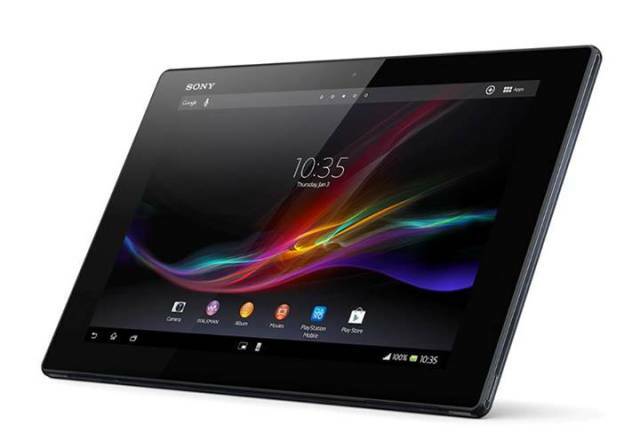 It’s billed as ‘the best of Sony in a tablet’ and now you can experience the best on the fastest network. While the Sony Xperia™ Tablet Z does not support call functions, you can insert the SIM Card into a smartphone to enjoy the pay-per-use voice rates of Celcom First Voice (15 sen/min for calls, 15 sen/min video calls, 10 sen/SMS and 20 sen/MMS to all networks). • Bring your tablet experience to the next level with the best network. 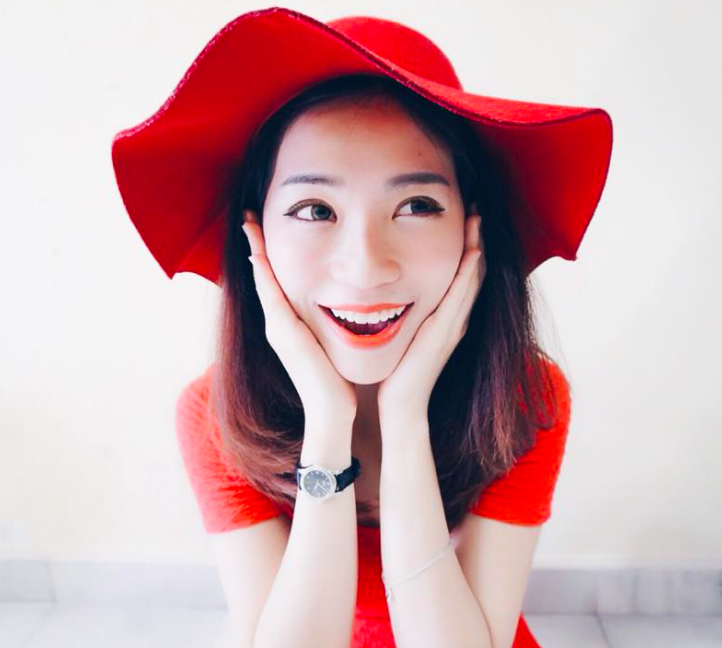 • It’s Malaysia’s fastest network with the widest coverage. 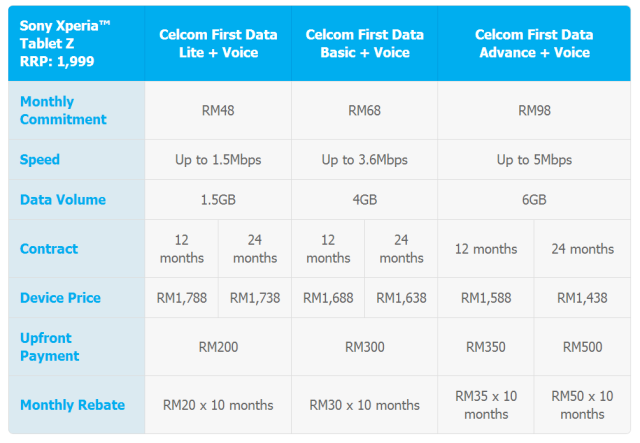 • You can enjoy the best plans and rates with Celcom First. • Be the first to enjoy the most exclusive privileges. • Celcom’s many accolades have resulted in various industry awards such as Broadband Service Provider of the Year and Mobile Service Provider of the Year by Frost & Sullivan. So get to your nearest Blue Cube today to test it out for yourself. 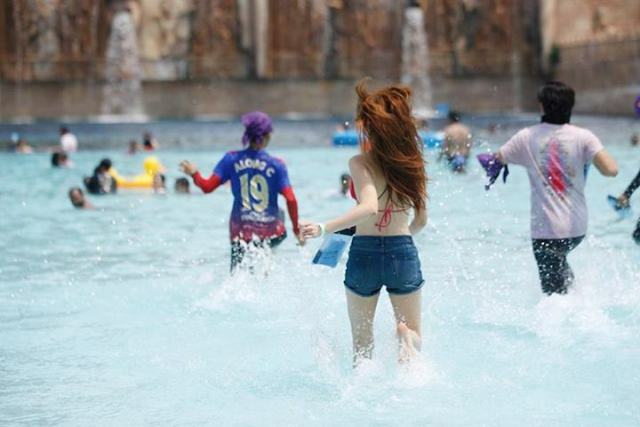 Although at the end of the day there could only be one winning team, everyone had an enjoyable time in Sunway Lagoon and fostered friendship and teamwork even though participants came from different states, backgrounds and ethnicity. Many thanks to Celcom First for organising the Celcom 4G LTE Blogger Race and providing such an unforgetable experience!